The IRS produces over 2,400 publications a year and creates numerous touchpoints across a wide range of internal and external programs. With the large number of materials, uses and challenging communication needs, a more defined and focused approach was required to increase the quality, functionality, efficiency and overall communication of all materials produced. 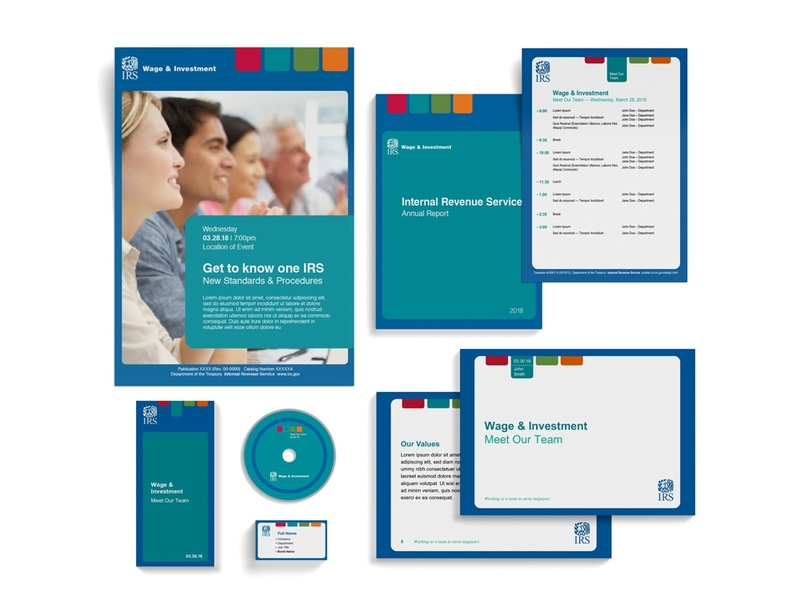 The One IRS concept was developed and designed in cooperation with the IRS Design Office Team to align the organization with a visual communication system, messaging and series of tools to create synergy agency-wide. One IRS is a winner! 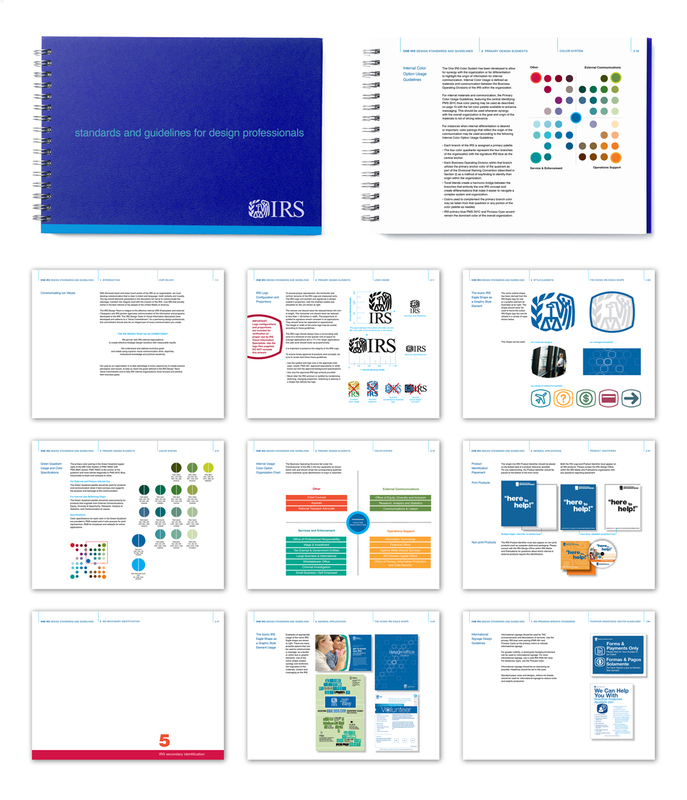 The goal of the IRS Design Standards and Guidelines was to clearly define and create an overarching, agency-wide, unified approach to visual communication to aid in the implementation of the One IRS Program. Development included logo usage and a system of departmental identification within the four business operating divisions, a system of iconography based on the IRS logo shape, color palette to enhance messaging and communication, design and style elements, print and digital applications, and program specific standards that create efficiencies and increase agency-wide return-on-investment. 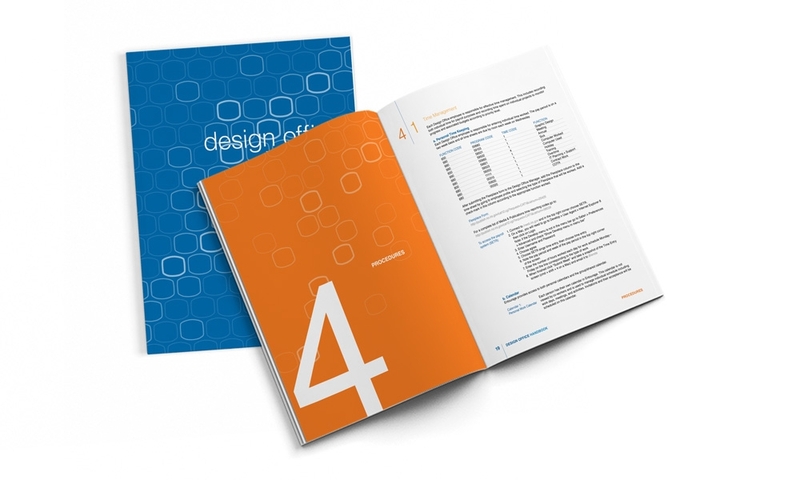 The official IRS Design Office Employee Handbook is a book and interactive pdf that outlines and clearly defines best practices for the department in regards to business operations. 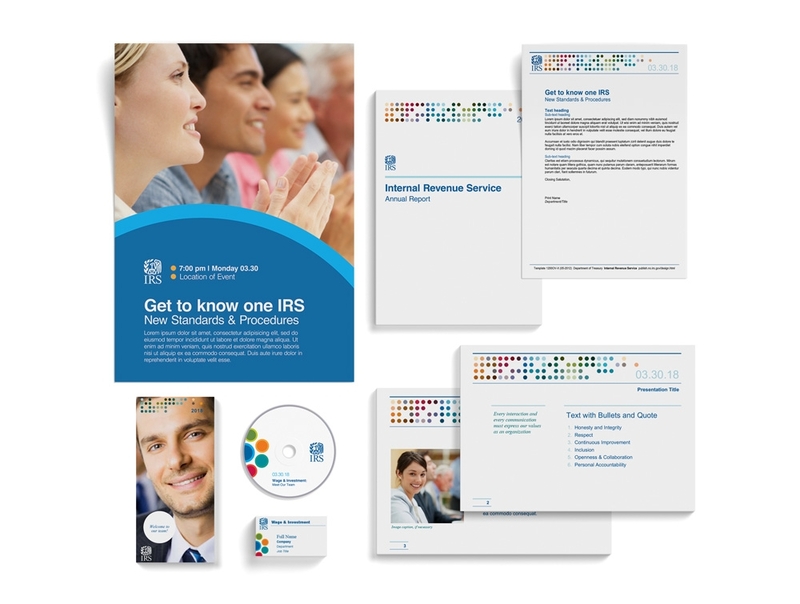 These include overview of IRS design office mission, vision, values and guiding principles, design processes, procedures, policies, and other important elements necessary to create a consistent outreach and clear communication to partners within the organization and to external taxpayer constituents. 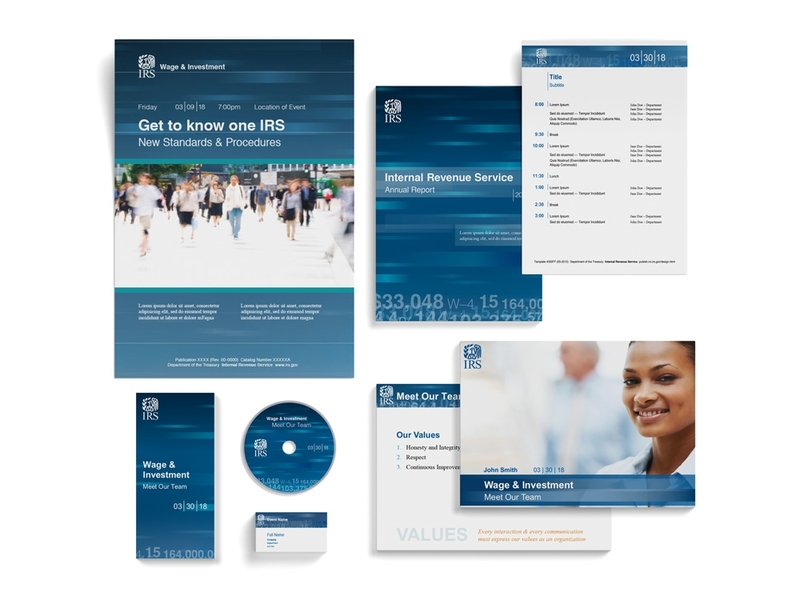 The IRS Design Standards that define the overarching visual system established for the organization were extended to a series of templates for use by employees agency wide. The templates provide choices that allow anyone to create a variety of high quality publications and materials quickly and easily, while maintaining a consistent look and visual vocabulary across the organization. The system provides for creation of designs with levels of emphasis and importance established through font, type size, weight and color to help facilitate communication to the intended audience for a wide range of applications from individual brochures through events across multiple materials. There are 4 main template themes—Iconic, One Voice, Fast Forward and Keeping Tabs. Iconic: A bold and clean approach with a strong presence of the IRS iconic shape. One Voice: Circular forms incorporate the IRS color palette and can be used to create forms and symbols to reinforce messaging—one team, one voice; create emphasis and call out information; and create visual “digital” boarders to tie the presentation together. Fast Forward: A technologically forward visual approach with emphasis on numbers and statistics; utilizing photography and background imagery. Keeping Tabs: Tabs are used as an organizational device to contain headings and divide sections; rounded corner tab shapes, background areas and photo frames are colorful and friendly in tone. 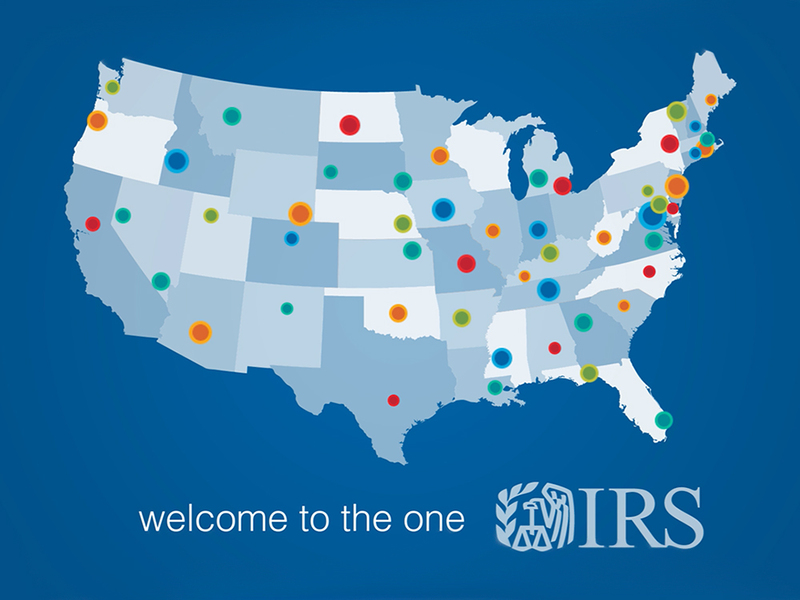 This multimedia presentation was created to introduce the One IRS Initiative. The presentation outlines the values of the organization and how they can be communicated clearly, consistently and effectively, internally and externally, across all communication touchpoints. Infographics are used to illustrate the use of the visual system established and deliver a consistent image—One IRS.